Beat This Caption Contest 17 – Caption Contest Funny Clever Witty Enter Today! 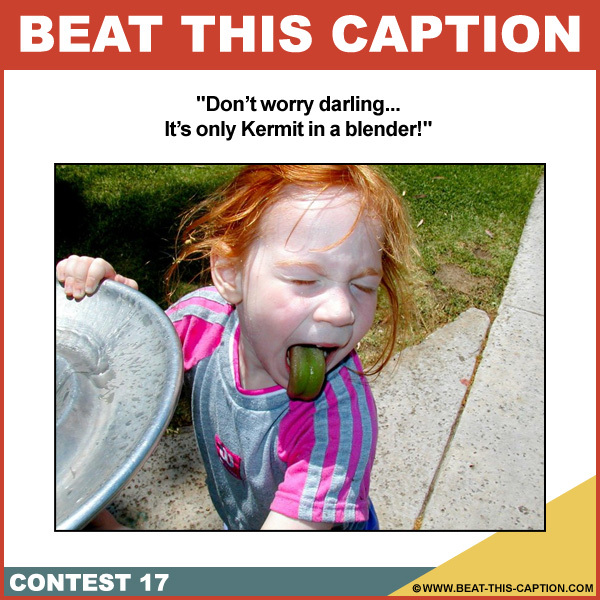 Don’t worry darling… It’s only Kermit in a blender! November 7th – November 13th 2010. This Contest… Is all about the Cold Hard Cash! The Prize for the winning Caption will be a $50! YEAHHHHHH! P.P.S. The $50 is real, not the fake (Raw-Bucks) above! I will pay through PayPal.